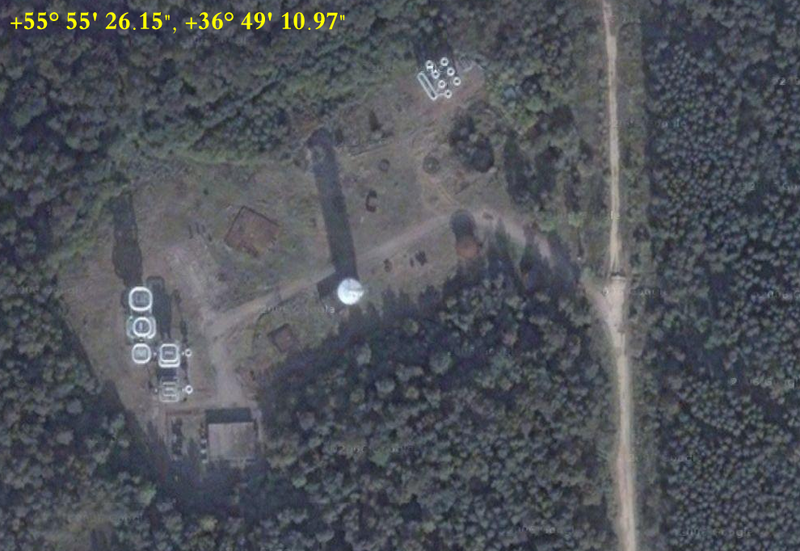 Abstract: The operational concept of the Jindalee over-the-horizon operational radar network (JORN) is the centralised control and co-ordination of remote sensors. The radar sites are in Laverton, WA and Longreach, Queensland, while the co-ordination centre is situated in Adelaide, South Australia. An extensive communications network is needed to control the radars and their associated frequency management systems, transfer partly processed data for final analysis at the co-ordination centre, and pass track information to the command support systems of the Australian Defence Force and other users. The principle of operation, configuration and concept of the Jindalee project are briefly outlined to provide the context of the communications requirement. The communications infrastructure to support this operational concept is then described together with the main factors which have influenced the design of JORN communications. 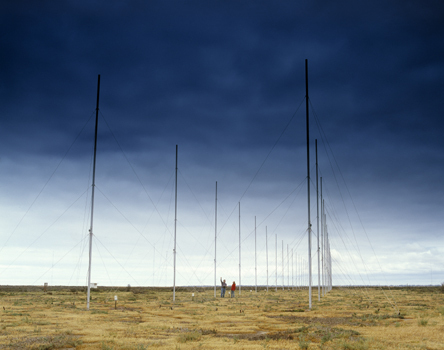 Electronic Warfare & Radar Division provides scientific leadership and support to the Australian Defence Organisation on the exploitation of the electromagnetic spectrum to enhance the performance of our own sensors, weapons, platforms and command systems, together with the ability to destroy the effectiveness of adversarial systems. Weapons Systems Division provides scientific leadership and support covering all aspects of weapon systems - including sensors, guidance, propulsion and warheads, and their integration into combat platforms and command and control systems. Command, Control, Communications & Intelligence Division provides scientific leadership and support for Defence command, intelligence, communications, and business processes, at both the operational and theatre levels of command. 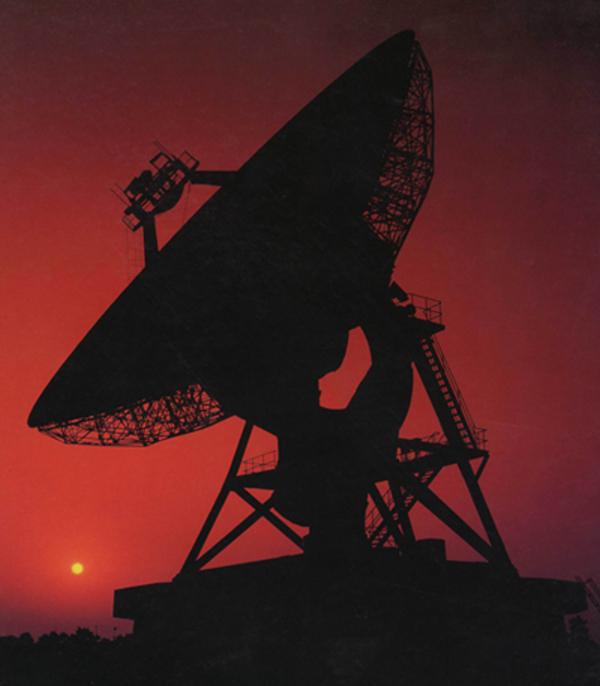 Support to the Australian Defence Organisation includes Information Operations with special capabilities in Information Security and Digital Forensics; Communications with special capabilities in Satellite Communications, Mobile Networks and Network Management; Intelligence Processing and Analysis with special capabilities in signals analysis, communications analysis, automated fact extraction, and speech processing. The Division has organised its work program to have a strong emphasis on support achieving the goals as outlined in the Network Centric Warfare roadmap. Intelligence, Surveillance & Reconnaissance Division provides scientific leadership and support for strategic intelligence, surveillance and reconnaissance systems, with a focus on the needs of the intelligence community. Land Operations Division provides scientific leadership and support to the Land Force through structured and analytical approaches to capability development. 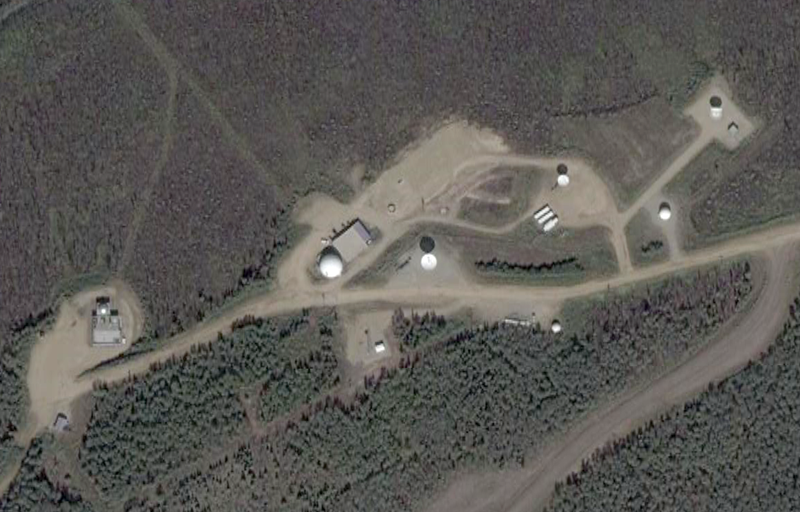 The third image shows a completely concealed array, road and power generation center, to show how easy it is to hide a large facility in a location like Alaska. 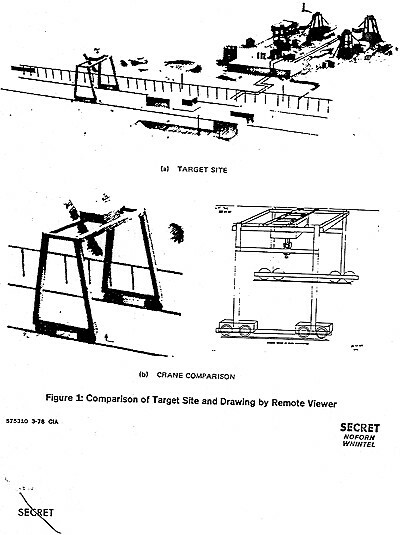 "The above illustrations demonstrate the capability to effectively conceal large land areas containing hardware and buildings. In a similar initiative comprising the the most comprehensive infrastructure concealment program since World War II, the design team of Dr. Resnick, Lt. Col. Timothy R. O'Neill, PhD (U.S. Army, Ret.) and Mr. Guy Cramer have produced remarkable results. Using specially designed "Fractal Based" camouflage patterns in projects related to concealment of critical infrastructure under the auspices of the US Department of the Interior's Bureau of Land Management, the team continues to achieve desired objectives such as those shown below." 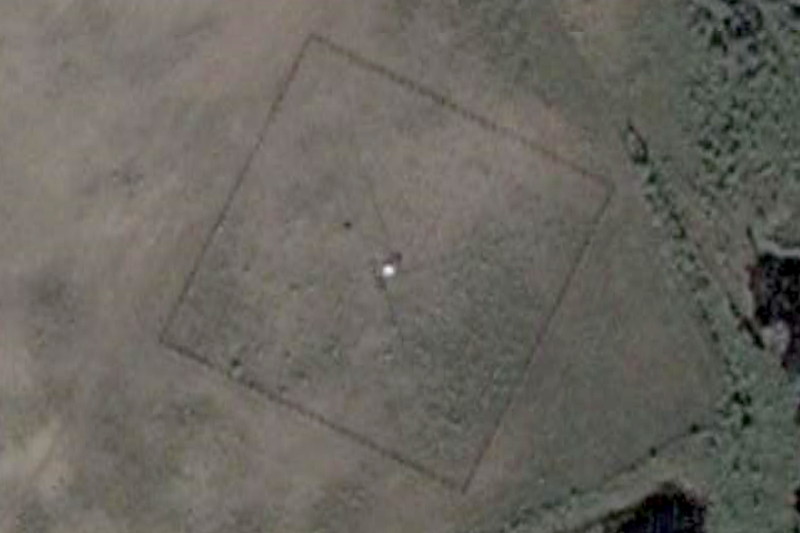 +65° 7' 1.34", -147° 27' 37.23"
+65° 7' 55.61", -147° 27' 14.98"
U.S. satellite reconnaissance photo of suspected Soviet beam weapon installation near Semipalatinsk. 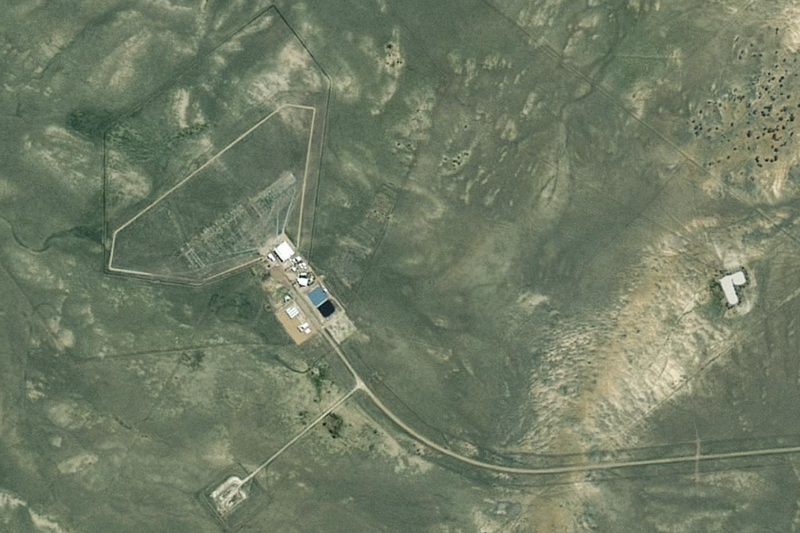 Hill, T. J.; Stanley, M. L.; Martinell, J. S.
The International Space Technology Assessment Program was established 1/19/92 to take advantage of the availability of Russian space technology and hardware. DOE had two delegations visit CIS and assess its space nuclear power and propulsion technologies. The visit coincided with the Conference on Nuclear Power Engineering in Space Nuclear Rocket Engines at Semipalatinsk-21 (Kurchatov, Kazakhstan) on Sept. 22-25, 1992. 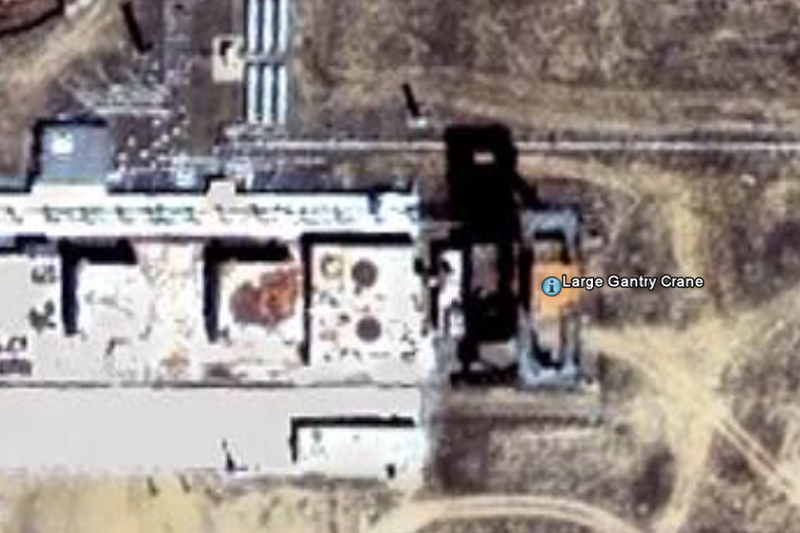 Reactor facilities assessed in Semipalatinski-21 included the IVG-1 reactor (a nuclear furnace, which has been modified and now called IVG-1M), the RA reactor, and the Impulse Graphite Reactor (IGR), the CIS version of TREAT. Although the reactor facilities are being maintained satisfactorily, the support infrastructure appears to be degrading. 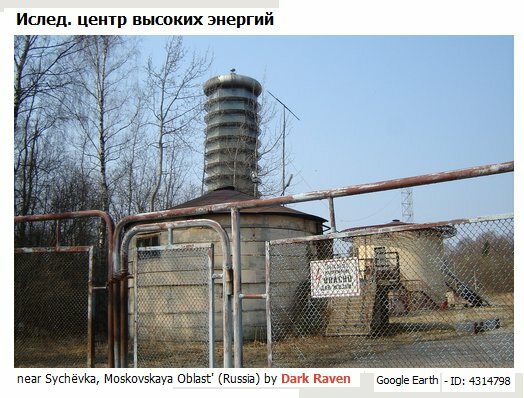 The group assessment is based on two half-day tours of the Baikals-1 test facility and a brief (2 hr) tour of IGR; because of limited time and the large size of the tour group, it was impossible to obtain answers to all prepared questions. Potential benefit is that CIS fuels and facilities may permit USA to conduct a lower priced space nuclear propulsion program while achieving higher performance capability faster, and immediate access to test facilities that cannot be available in this country for 5 years. Information needs to be obtained about available data acquisition capability, accuracy, frequency response, and number of channels. Potential areas of interest with broad application in the U.S. nuclear industry are listed. 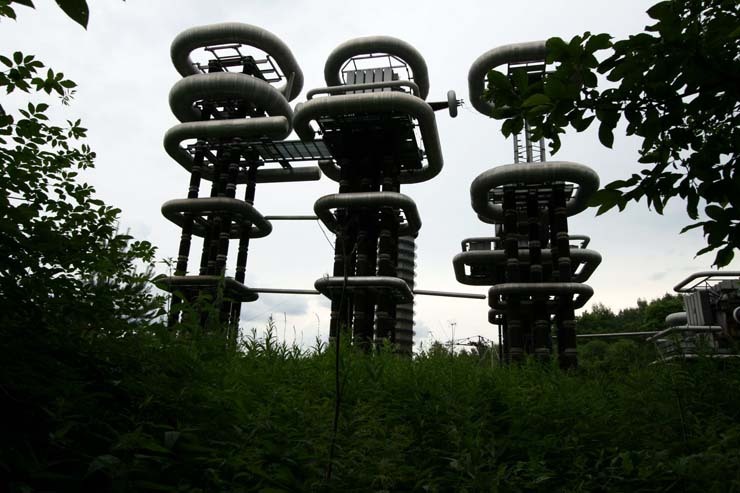 "These were part of the experiments do by the SU with Teslas work towards power transmission and communication. Pictures all over the place on the internet. Nothing mysterious or new about it. 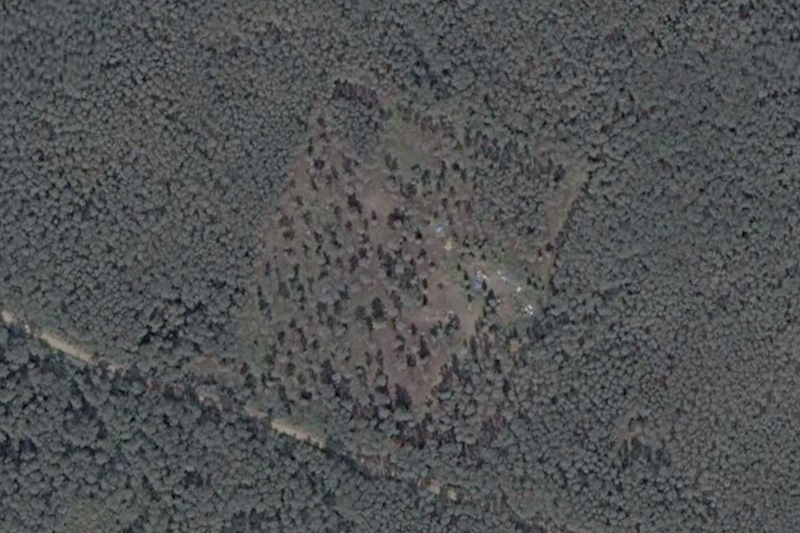 Or perhaps its a secret installation for taking over the world. Take you pick." "Isled. 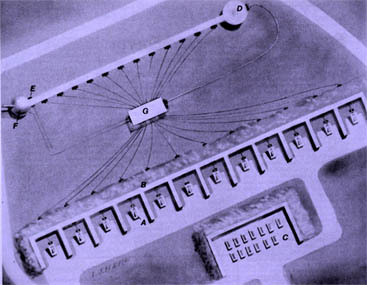 the center of the high energies"
(high-voltage scientific research center of All-Russian electrotechnical institute). 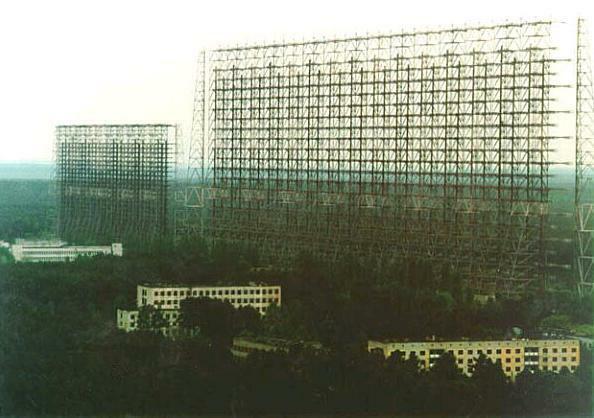 The Soviets had been working on early warning radars for their anti-ballistic missile systems through the 1960s, but most of these had been line-of-sight systems that were useful for raid analysis and interception only. None of these systems had the capability to provide early-warning of a launch, which would give the defenses time to study the attack and plan a response. 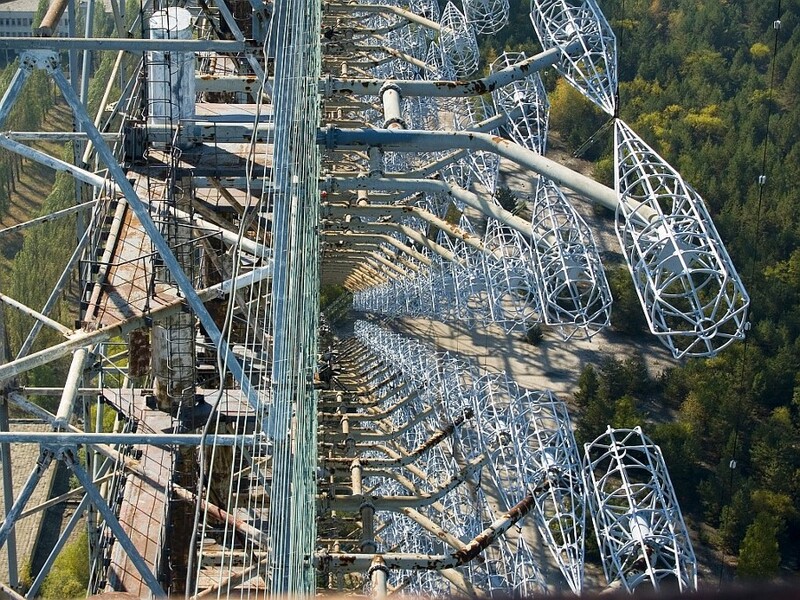 At the time the Soviet early-warning satellite network was not well developed, so work started on over-the-horizon radar systems for this associated role in the late 1960s. 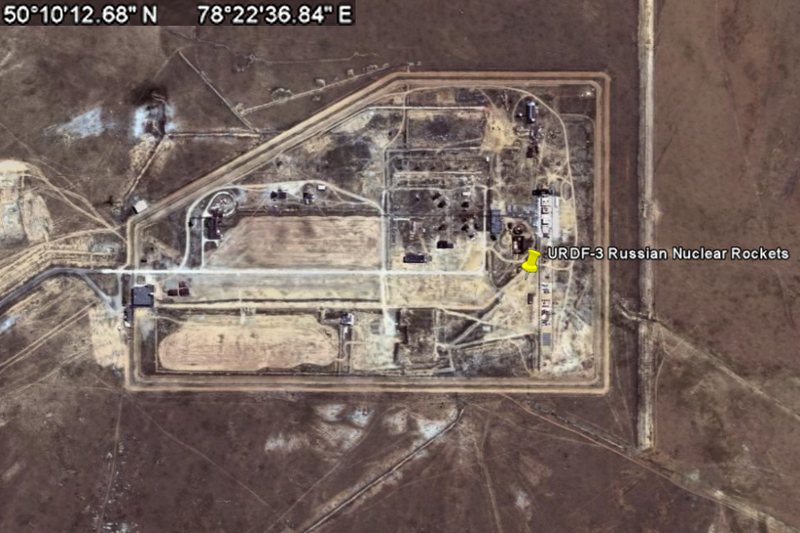 The first experimental system, Duga-1, was built outside Mykolaiv in the Ukraine, successfully detecting rocket launches from Baikonur Cosmodrome at 2,500 kilometers. 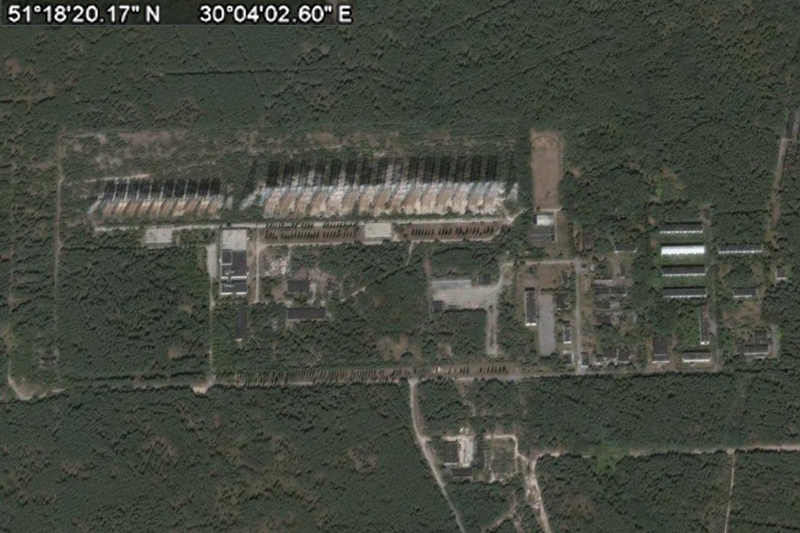 This was followed by the prototype Duga-2, built on the same site, which was able to track launches from the far east and submarines in the Pacific Ocean as the missiles flew towards Novaya Zemlya. Both of these radars were aimed east and were fairly low power, but with the concept proven work began on an operational system. 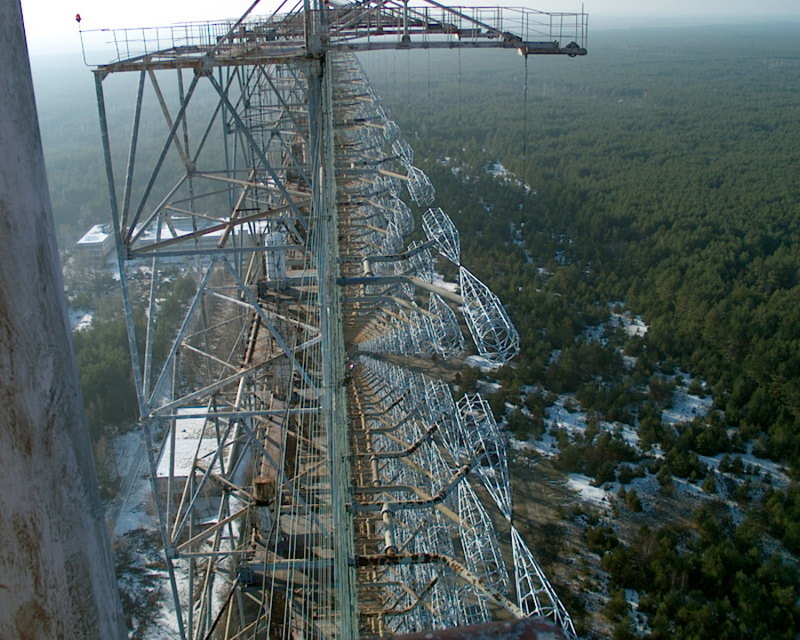 The new Duga-3 systems used a transmitter and receiver separated by about 60 km. 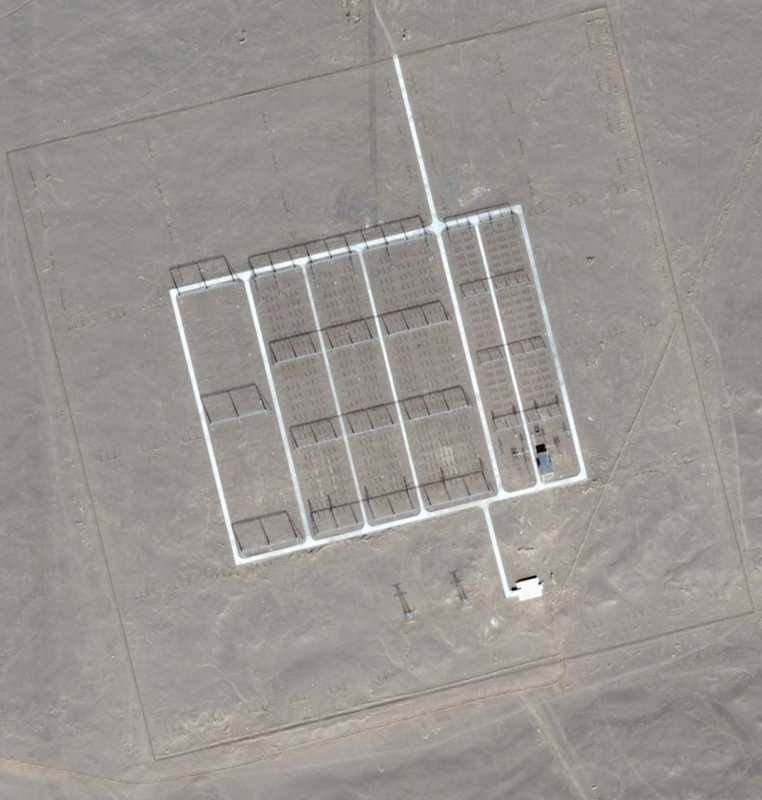 So far I have only found ONE of China's Arrays and one EISCAT type dish. 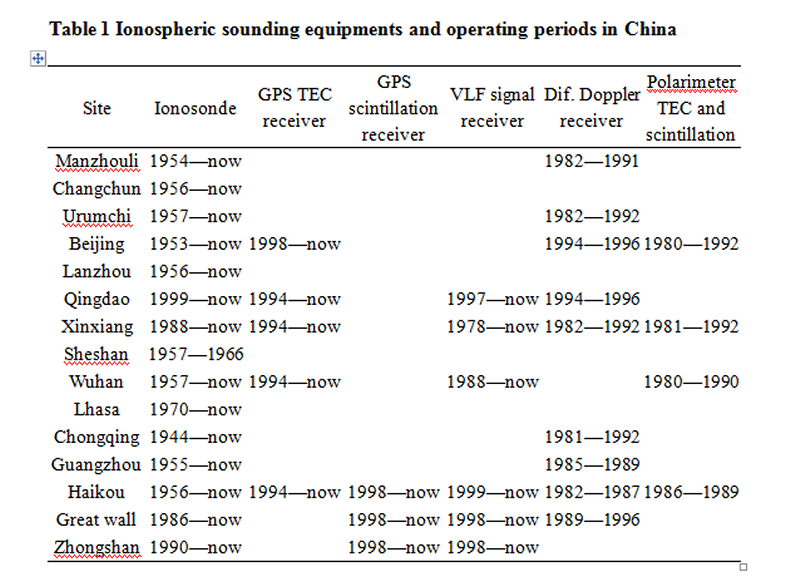 The ionospheric sounding in China has a long history and has a well spread network, which is still keeping routine operation, providing a good background to do the ionospheric long-term prediction and short-term forecasting. The ionospheric sounding in China started in early 1940s (Wu et al., 2002). 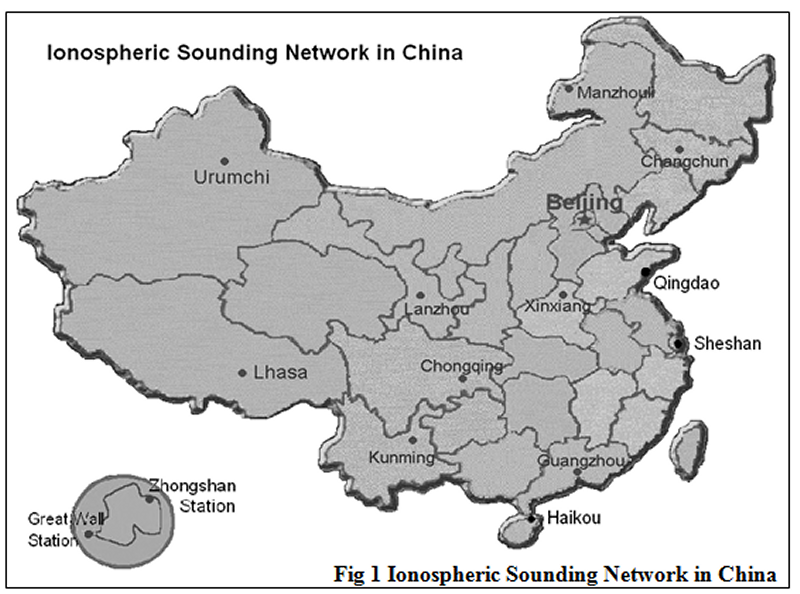 Fig.1 shows the ionospheric sounding network in China. The sounding equipments and operation periods are listed in Table 1. 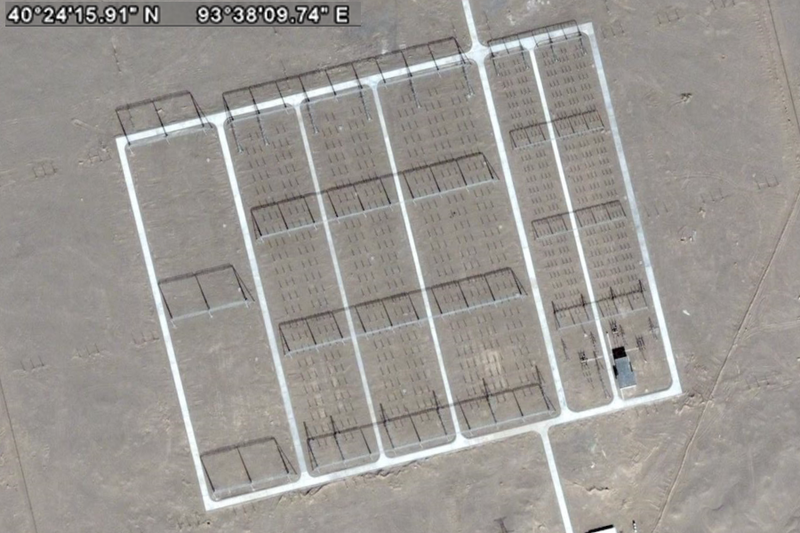 Among them 11 ionosonde stations are still in operation in China mainland. The data at integer UT hours are sent to forecasting center in Beijing twice a day through Internet. There is also a daily exchange of ionospheric data with Russian (for 4 stations) and with Australia (for 4 stations) respectively. A method of predicting the ionospheric F2 layer in the Asia and Oceania Region (AOR Method [Sun X.R., 1987]) was adopted as a regional ionospheric long-term prediction method in China and its surrounding area. Then this was cooperated with the International Reference Ionosphere and became the Reference Ionosphere in China (CRI) [Liu et al., 1994]. The ionospheric sounding in China has a long history and has a well spread network, which is still keeping routine operation. The autocorrelation method is adopted for the short-term forecasting of ionospheric characteristics. The performances of the forecasts at Chongqing have been examined for different combination of parameters and algorithms by estimating the prediction errors. Preliminary results show that for predictions of more than 10 h ahead the “at once” method with f0F2 is preferable. For predictions of less than 10 h ahead the “iterations” method with View the MathML source is the best. A corrected method of the International Reference Ionosphere used in China region (the CRI model) is described in this paper. By introducing an effective ionospheric index Ice into the CRI model the regional forecasting could be realized. Of the two Chinese scientific stations in Antarctic, the one in Zhong Shan is closely conjugated with the Svalbard area in the northern hemisphere. This makes it a valuable place for coordinated measurements both with the EISCAT Svalbard Radar (ESR) and the Polar satellite. In 1991 a cooperation agreement was signed between the Ionospheric Laboratory of the China Research Institute of Radiowave Propagation (CRIRP) in Xinxiang, China, and the Department of Physical Sciences, University of Oulu, Finland, to build an auroral photometer system for the Zhong Shan station (Kaila et al, 1997). The multichannel scanning photometer agreed upon was constructed in Oulu by April 1995, and delivered to China in May. 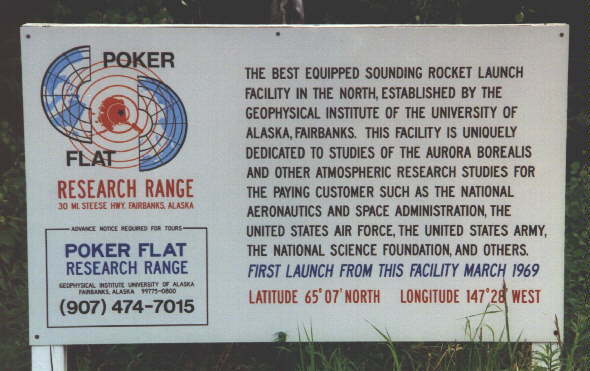 Measurements were supposed to start in March 1997, to be continued during the local winter time until October (the same schedule of measurements is planned for every year). However, due to problems mentioned above, the current status of the system is unknown! 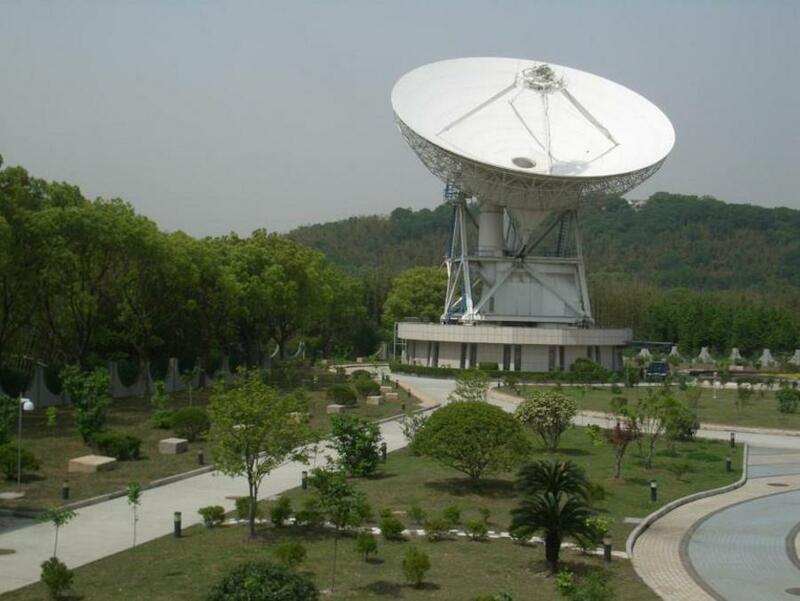 The Sheshan 25m radio telescope is an alt-az antenna run by SHAO. The telescope is located in the Sheshan area, about 40km west of Shanghai.